The visualization takes advantage of the numerous amounts of data collected by the ACS. 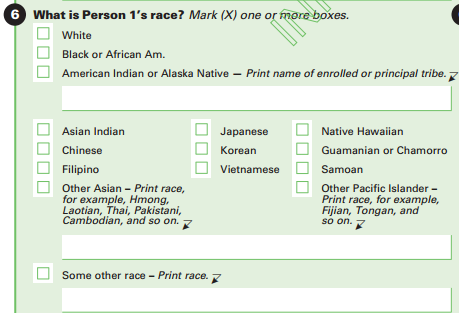 You are able to filter the data by nine different demographic traits. Each side has a filter so you can compare the data to other groups and not just the population as a whole. Since the axis can change with each edit, a bubble has been provided that includes the total size of the filtered population. Below you are able to see a little more about these filters as well as images of the question from the ACS Form. The age of veterans is often contingent on the era they fought in. 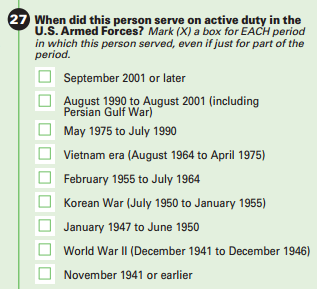 This filter allows you to see the age distribution based on a veteran’s period of service. 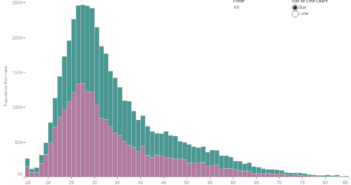 Here you can look at the age of people based on their personal income. 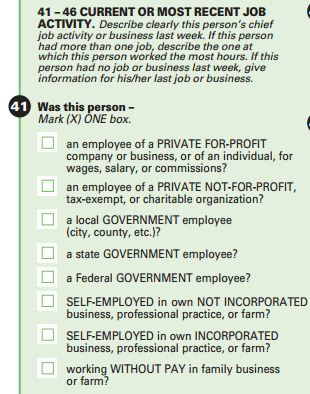 The ACS asks multiple questions about different income sources, but this filter focuses on the total. It is worth noting that this is only a person level detail so some people may come from wealthy households, but make much money on their own. This option allows you to see the age distribution of employees in different industries. 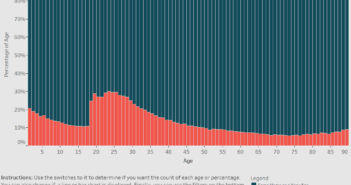 This allows you to see how old people based on their current marital status. 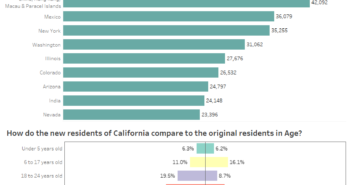 Ever wonder what types of people are most likely to move? 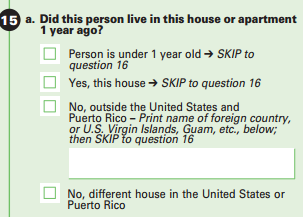 This shows you the age distribution for people that lived in the same home, moved within the US, and those that moved from another nation. Be sure to share your most interesting comparisons in the comment section and we will be sure to post interesting ones our site.